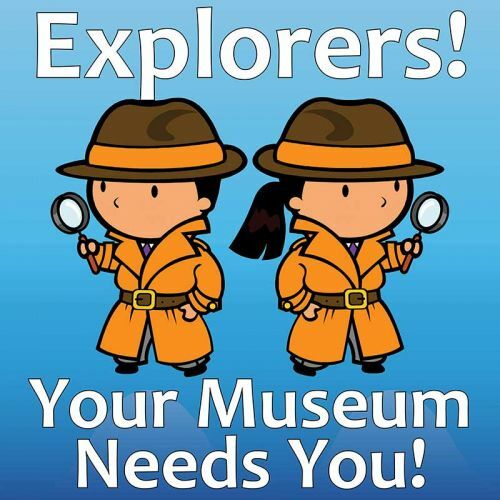 Explorers - Your Museum Needs You! Can you help us out? As the real thing might get a little smelly, we your need help making some paper fish! Grab some fish templates from the Museum, print out the templates below, or even make your own! Making the fish is easy - do five or six (or more) fish to really help us out! Staple the two sides together - but leave one edge open! Bring in your fabulous fish and help us build our exhibit by filling our crates and nets. Random fish will win spot prizes during the exhibition! NB: Some of these fish may be a bit small if printed on A4 paper at home - but remember you can visit the Museum to grab pre-printed fish templates printed at a larger A3 size.